Rare offering on coveted Mabery Road. 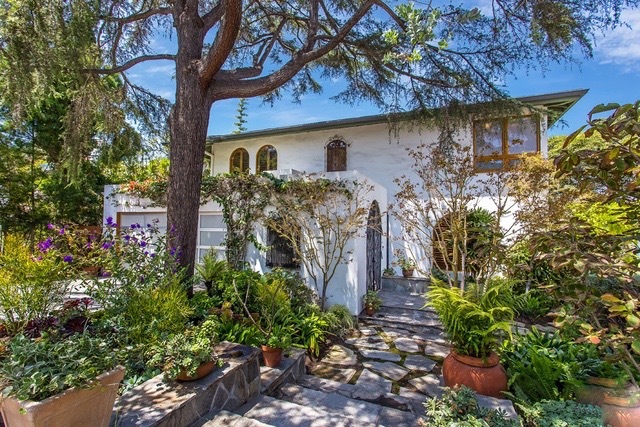 This magical five bedroom, four and one half bath home has wonderful canyon and ocean views. It offers a truly flexible floor plan to accommodate a variety of lifestyles. The main floor consists of a gracious living room, open dining area, gourmet eat-in kitchen and powder room with direct access to the garage. Upstairs there are three bedroom suites and office. Downstairs is set up as a multi purpose/ screening room, massage area, another bedroom, full bath and laundry room. The rear of the property has lovely gardens and fruit trees. This is truly a unique opportunity to live close to all Santa Monica's amenities, moments to the beach and experience the organic magnificence of the canyon. The adjacent property is also for sale.